L.E.A.N. Kids COPE is our signature award winning program. In an after school setting, COPE offers nutrition education, fitness training and behavioral health therapy to students who want to avoid or are struggling with overweight, obesity, or inactive lifestyles. This is offered in a structured environment and currently offered to middle school students. Trusted professionals facilitate learning and mentor students with understanding, helping them reach their potential as a healthy, active, happy person. Parents of these students attend six one-hour evening sessions, as well as a Saturday morning trip to the Farmers Market and grocery stores so they can support their student and help the entire family live lean and healthy. Students are referred by medical providers or parents or caregivers. Contact us for more information. Twelve week sessions, three afternoons per week, begin in September and January of each year at partnering schools. This is a 12-week program for girls aged 14-16. It runs for 12 weeks, and issues such as bullying, dysfunctional eating patterns, feelings of exclusion, and social pressures are touched on. This program focuses around confidence building activities to help our young women reach their full potential in life. You can reach us at programs@copeforchange.org if you have any questions or know a young lady who would be interested in joining us for the next session. L.E.A.N. 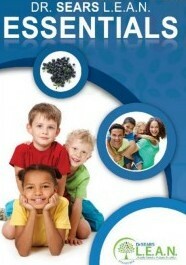 workshops are offered to parents who want to learn healthy habits to implement in their families to create L.E.A.N. kids. 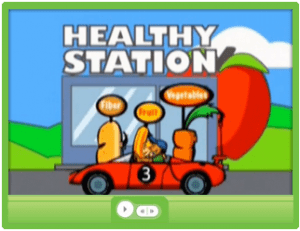 Created by Dr. Bill Sears, renowned pediatrician, parents can choose from L.E.A.N. Start, a seven hour workshop (two Saturday morning sessions) or L.E.A.N. Essentials, a 3 hour introductory workshop. L.E.A.N. is an acronym for Lifestyle, Exercise, Attitude, Nutrition as the four pillars of good health. If our children are going to change, we have to be armed with the proper information to facilitate lean living for the entire family. The facilitator for these programs, COPE’s L.E.A.N. Health Coach, combines behavioral strategies that have been proven by COPE along with Dr. Sears curriculum for an amazing, family changing experience.